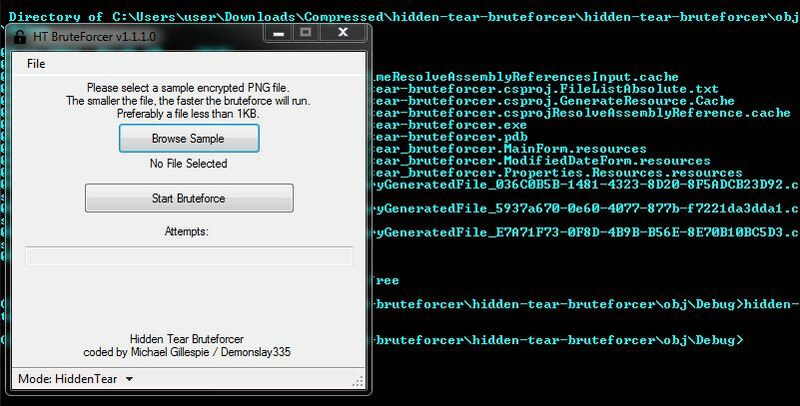 Browse: Home / HT-Bruteforcer ~ Simple bruteforcer for EDA2/HiddenTear based ransomware. HT-Bruteforcer ~ Simple bruteforcer for EDA2/HiddenTear based ransomware. Notice: This Code/Post just for Education/Learning Purpose. hidden-tear-bruteforcer is a Simple bruteforcer for EDA2/HiddenTear based ransomware. 1. DOwnload *.zip file, Unzip it. 2. Right click hidden-tear-bruteforce.sln, then right click open with your visual studio. ← RSPET – Reverse Shell and Post Exploitation Tool.